On a photo assignment at Gartner Ltd, Egham, today, my task to photograph 118 corporate portraits in a 40 minute lunch break. A quite liberating photoshoot in that one had to ditch the niceties and get down to business, reminded me of my old portrait studio days at Covershots International! An interesting piece on the future of film making that is irrevocably linked to photography, especially documentary photography and its raison d'être of ‘being there’. “The gap is definitely closing,” Gerstenberger says, adding, “The quality’s there, and it becomes much more about the story that’s being told and the knowledge and experience of the filmmaker and the team, rather than the camera or the tool.” In other words, we’ll know that smartphone films have reached their most mature form when they aren’t a story at all. Editorial Portraiture Photoshoot for Mediatrium, Barcelona. Filming today…it is primarily a short film case study for the Mount Pleasant residential development in London, formerly part of the Royal Mail sorting office. The film included stills as well as short interview testimonials in locations around the site in East London, we got lucky with the weather, barmy! A thoroughly enjoyable little editorial photoshoot for Hallmark Care Homes on the creator of the Beanz Meanz Heinz slogan, Maurice Drake, who penned it in a Camden pub over 35 years ago. Photographed at the Maycroft Manor Carehome in Brighton. 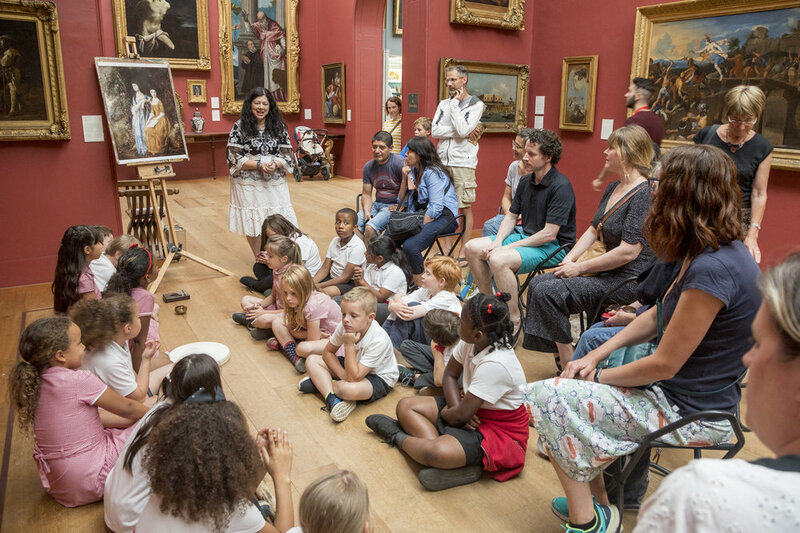 The Annual School Takeover at Dulwich Picture Gallery, shot over four days of organised mayhem. The kids take over the gallery space to present classes in printing, while in the gallery they tell stories and take members of the public around the space. The Kids were great to photograph and really did add to the enjoyment of shooting this event. Guerrilla PR Event Photography shot on a train leaving London Victoria for Clapham junction, a hot day with the whiff of Sardine in the air! The girls were photographed as part of an event aimed to promote and endorse Swimwear 365. The photography was geared towards representing a fun day of fitness and swimwear and was shot in a wonderful shoot house in South West London. Editorial photography shot for Specsavers magazine featuring Johnnie Jackson, the retiring captain of Charlton Athletic Football Club. This was shot on location at Specsavers in Charlton. The dark art of Squarespace SEO today for marcus-harvey.com, cant say I like it but I'd like to thank Jewel H ward from https://www.impactzone.co/improve-squarespace-seo-checklist/ for a very informative piece on the joyful fun that is SEO. I got excited for a bit thinking that a plugin from Yoast may lighten the load a bit but unfortunately it is not available to Squarespace users, only Worpress oriented sites...I have tried to use Wordpress but found it to be the most non-intuitive way to build a website, an expert I am not. So I am a little way into this odyssey and have changed up my homepage and one of the gallery's, whether this will make a blind bit of difference to my google ranking, only time will tell. Apparently I need to start building quality back links to my site, hey-ho, new skills and less hair awaits. Architectural Abstraction on a cloudy day before a photographic commission at the Tate Modern but some soft sun broke through and provided me with some subtle graphic lighting, shame the coffee I bought from M&S was not as sublime. Love was in the air at Alexandra Grange Care Home Valentines Day Event, and everyone was fair game it seemed after having my derrière spanked twice. The photography was shot for an internal magazine editorial for Hallmark Carehomes. Tesco has announced zero sugar, low calorie drinks range, Revolution Waves, will sit on the shelves in 32 Tesco stores across Yorkshire. The water supplier is donating 10p per bottle sold to NHS charities across the region. The Yorkshire business was founded in 2015 by childhood friends Dan Norton, Charlie Simpson-Daniel and Phil Raikes who all share the same passion for sport being ex and current international athletes. The business partners have a plethora of sporting achievements between them with Dan holding the title of England Sevens star winger and silver medallist in the Rio Olympics; Charlie was also a member of the England Sevens Squad in 2010 whilst Phil played international cricket as a schoolboy. Architectural abstracts photographed around the City of London for a yearly report published by FIS.